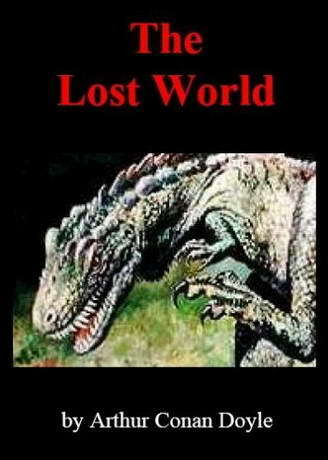 Classic Audio Book CD - The Lost World is a 1912 novel by Arthur Conan Doyle concerning an expedition to a plateau (native name is Tepuyes) in South America (Venezuela) where prehistoric animals (dinosaurs and other extinct creatures) still survive. The character of Professor Challenger was introduced in this book. Interestingly, for a seminal work of dinosaur-related fiction, the reptiles only occupy a small portion of the narrative. Much more time is devoted to a war between early human hominids and a vicious tribe of ape-like creatures.